The Rich History of Branneky Hardware. Pattons’ store opened in 1857 in this location, at the corner of St. Charles Rock Rd. & Fee Fee. C.C. Branneky was a stock boy at Pattons’ until 1892 when he opened his own store. C.C. Branneky’s 1st store was right across the street from Pattons’ in a building he rented from the Lucas Carriage Factory and was partners with James Avery. C.C. 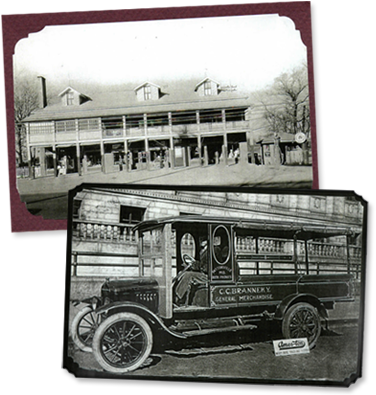 Branneky General Merchandise was one of the last stops for the wagon trains to get supplies on the trail going west. In 1900, C.C.’s store burnt down and he bought out Patton’s successors, Walter Post & John Schroeder (Post & Schroeder Grocers). The store was renamed Branneky & Sons Mercantile Company. C.C. 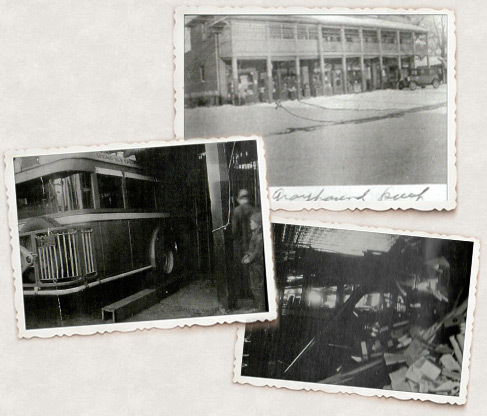 Branneky, 1st generation owner & postmaster had three sons: Oliver & Harry became the 2nd generation owners in the 1930’s. His oldest son, Walter, Started St. John Bank. Oliver Branneky ran the hardware department of the store and was the postmaster for Pattonville (Bridgeton), MO. His brother, Harry Branneky, ran the grocery department of Branneky’s. Branneky & Sons Mercantile Company was your one-stop shop for groceries, the meat market, the post office, hardware, shoes and toys. A Greyhound bus crashed through the front of the old store in the 1940’s. Oliver Branneky’s sons, Charles & Jack (along with Lyle Downs, friend/partner for 40 years) became the 3rd generation owners in the 1950’s. All three generations have lived above the store. The 2nd and 3rd generations were raised there. Branneky & Sons Mercantile Company joined True Value Coop. in 1954. Oliver’s wife, Elizabeth “Libby” helped run the store, especially after her husband’s death in 1967. 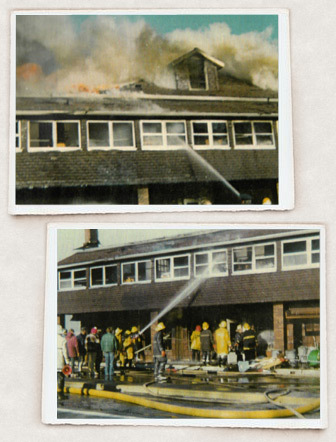 On Super Bowl Sunday – January 18, 1976 – Branneky Hardware burnt down (an electrical fire). After the fire, Branneky Hardware operated out of the feed house behind the burnt down store. In the Fall of 1976 the new Branneky & Sons Mercantile, Inc. opened at the same location! Since the early 1990’s, Jack’s sons, Jeff & Tim Branneky, are now the 4th generations to own Branneky Hardware. Their wives also work throughout the store. Jack’s wife, Beverly, works at the store and is better known as “The Plant Lady” to Branneky customers. In 2000, Brannkey True Value Hardware was named “Best Hardware” in the Best of North County Readers Choice. In 2004, Branneky True Value Hardware was winner of the Better Business Bureau biennial “World Class Customer Satisfaction Award”. The 5th generation of Branneky’s are right around the corner to serve you soon. 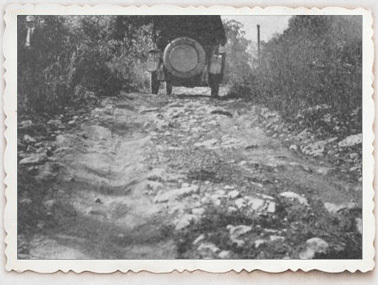 The St. Charles Rock Road started out as an Indian trail. The trail’s name changed many times over the years. From the “Bourgmont’s Trail”, “El Camion Real” to “Boon’s Lick Trail” and was the beginning of the Santa Fe & Oregon Trails. At the end of the Civil War the dirt “St. Charles Road” named the time, was rebuilt with compressed layers of stone and was then known as “The Rock Road”. In 1921, the stone was concreted over and renamed the “St. Charles Rock Road”, the first concrete state highway and oldest road in Missouri!